The Myanmar Trade and Investment Report is a detailed country guide for companies looking at trade and investment opportunities in the Myanmar market. 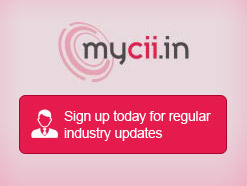 Besides providing a macro view of Myanmar’s socio-economic fundamentals, the report digs deep into Myanmar’s trade and investment profile, highlighting specific sectors that hold potential for Indian business for both trade and investment with useful information on practical business aspects in Myanmar. 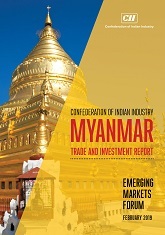 The report provides details on Myanmar’s trade basket, direction of trade, bilateral trade between India and Myanmar, trade infrastructure and logistics, prohibited import products’ list and the country’s trade policies, tariff profile and barriers. In particular, the report encompasses a detailed trade analysis resulting in shortlist of products that hold potential for exports to the country. The report comes at an opportune time when Myanmar is emerging as the new frontier for economic activity in the ASEAN region witnessing heightened levels of trade and investment activity. In light of the country beginning to attract high levels of interest from Indian businesses, this report will be useful for companies desirous of expanding their footprint by way of trade and/or investment.